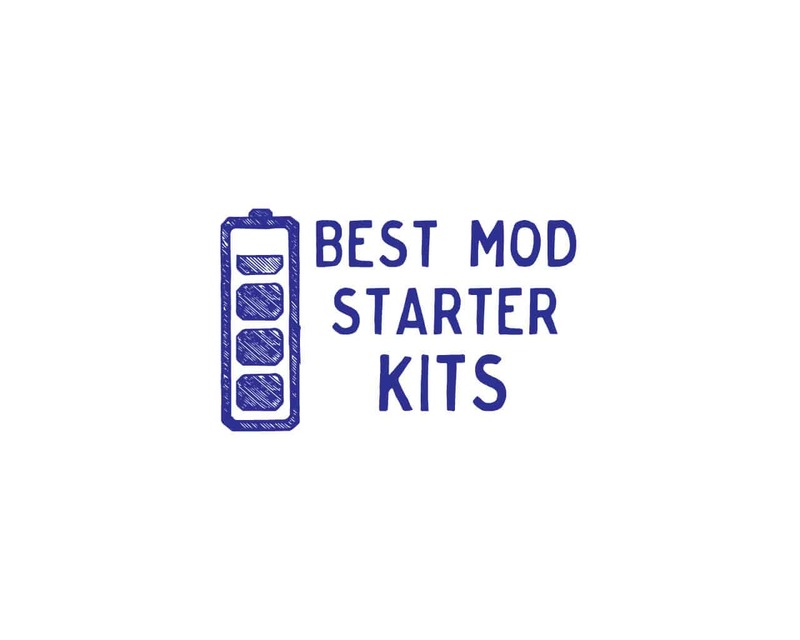 Mod starter kits are designed to make it as easy as possible to begin vaping with your favorite e-juice. These kits take the guesswork out of vaping by combining a mod with a compatible tank, ensuring that you’ll get a seamless vaping experience right out of the box. If you’re brand new to vaping, or if you’re an experienced vaper who doesn’t want to spend time researching different tanks, starter kits are the most convenient way to start vaping. Here is an overview of the best starter kits on the market so far in 2017. Be sure to let us know which one you think is best in the comments section below! The Alien is widely regarded as being one of the best starter kits that SMOK has ever created. We’re halfway through 2017 and it seems like it’s going to be hard to find a kit that will more popular than this beast. The Alien comes with the TFV8 Cloud Beast sub-ohm tank, giving you the ability to blow the sickest clouds imaginable. The Alien is available in a bunch of cool looking colors, so not only will be blowing clouds, you’ll look good doing it. The H-PRIV is another worthy contender in the starter kit category from SMOK. Let me tell you, this company has been knocking it out of the park in the past couple years with their gorgeous, high-performance starter kits. This one also clocks in at 220W, giving you all the power you need for cloud chasing. While the Alien features a much more futuristic, sci-fi inspired look; the H-PRIV is more of a refined, classy-looking box mod. This one includes a state-of-the-art Micro TFV4 tank for the perfect balance between clouds and flavor. It’s Alien vs. Predator, baby. The Predator 228 kit is Wismec’s answer to the SMOK Alien. It features a similar science fiction inspired design. The Predator is more than just stunning good looks, however. It also features some of the best performance specs on the market today. The included Elabo tank features tons of cool airflow adjustments, allowing you to tweak it to the perfect setting that meets your own unique needs. With the ExoSkeleton kit, Wismec is proving that it’s not just a one trick pony. This kit is another gorgeous masterpiece of design. The cool cage-like outer skeleton will be sure to turn heads wherever you go. There really is nothing out there that looks anything like it. This one is a triple-18650 powerhouse of a mod, so you know damn well that you’re gonna get some motherfuckin’ clouds out of this one. This kit includes the legendary Kage sub-ohm tank for increased performance. The G-PRIV is another classically designed box mod kit from SMOK. It doesn’t have the high-tech futuristic feel that is currently popular; but rather features a sleek, high-end design aesthetic. If the whole outer space look doesn’t appeal to you, then the G-PRIV is right up your alley. This dual-18650 kit will also give you the TFV8 Baby Beast sub-ohm tank. This beginner-friendly starter kit is designed to give you optimum performance in a simple, user-friendly package. The Cool Fire IV kit is powered by an internal battery, so there’s no need to worry about dealing with those annoying removable 18650 batteries. Just plug it in to charge it up and you’ll be ready to vape in no time. The iSub Apex tank features a respectable 3ml capacity and gives you decent clouds and flavor from a box mod that clocks in at 70W. The G150 is one of the newer sub-ohm kits from SMOK. It features an insanely powerful internal battery, making it ideal for vapers who don’t want to deal with external batteries but still want a high performance kit. This one comes in some incredibly cool colors. My favorite by far is green. This one comes with a TFV8 Big Baby tank, so you get a little bit more e-juice capacity than most sub-ohm tanks out there today. Eleaf might not be in the limelight anymore in the vaping world, but they’re still making some pretty sweet products. The iStick QC Melo 300 is their competitive entry into the high-performance starter kit arena. It’s got a much more sleek, refined look than most other box mods out there. The Melo 300 tank is state-of-the-art, and is designed to balance both cloud chasing and flavor chasing in one robust tank. iJoy really knocked it out of the park with this kit. The ergonomics are absolutely insane, with a *huge* top-firing button and a perfect fit in just about anyone’s hand. The included RDTA is one of the easiest RDTA’s to use, with an incredibly simple wicking process that is ideal for both beginners and advanced vapers alike. Previous articleDoes E-Juice Packaging REALLY Make Kids Want to Vape?